Technological solutions for the organization of B2B motivational programs. The proprietary @loyalty software is dedicated to the management of B2B motivational programs and enables the calculation of points, cash-back and rebates based upon those data sources which You have. In the implemented projects we integrate with cashregister systems, business intelligence software, and we enable the calculation of data from any collection, including those data sent in the customers’ own formats. We use data exchange models, in which the sources come from participants who send photocopies or scans of invoices via Internet, mobile phone applications or mail. We accept unique codes via web pages, or text messages with fragments of the packaging. Via API @loyalty software enables integration with external data sources, such as social media like FaceBook or Tripadvisor, services supporting sports activities such as Strava or Runtastic as well as any other third party applications which API provides. We ensure the highest quality of user experience from participation in motivational programs thanks to responsive web pages, dedicated mobile applications, info-lines with call queuing, IVR, recorded conversations and assessment of consultants’ work quality by means of an SMS survey after a completed conversation. Thanks to carefully selected service providers Your data sets are hosted only on dedicated servers ensuring a minimum load of over 500 loyalty transactions per second. This means that we are able to handle 500 requests or inquiries to the database at any time. The @loyalty software also enables the creation of shipping lists, the creation of e-mail messages, text messages, management of website campaigns and mobile applications. Thanks to that, the creation of promotional campaigns, and communication with participants is simple and You can manage them yourself. You have constant access to the data through an intuitive dashboard containing prepared charts and result tables specially prepared for You. The data can also be presented using a mobile application. Do you want to get acquinted with the possibilities of the @loyalty software ? 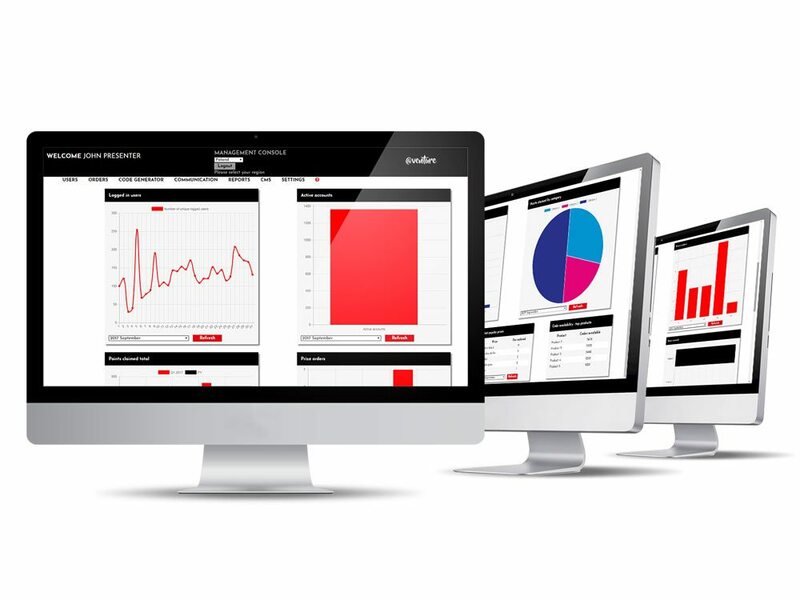 Order a demo version presentation of the @loyalty B2B motivational management programs and B2B loyalty management programs software.